A couple of countries recently held presidential elections. Montenegro was one of them, and the current president Filip Vujanović won another term, which lasts for 5 years. He has been the country’s only president since it got its independence in 2006. Montenegro used to be part of a country called Yugoslavia. In 1991, Yugoslavia started splitting up into different countries. Slovenia, Croatia, and Macedonia were the first to break away. In 1992, Bosnia and Herzegovina broke away. What remained of Yugoslavia became two countries in 2006 – Serbia and Montenegro. Montenegro‘s capital is Podgorica and its official language is Montenegrin. Fašinada is an annual event that takes place in an area called the Bay of Kotor in Montenegro. On July 22, people get in boats at sunset and head to the church called Our Lady of the Rocks which is on a man-made island. They throw rocks in the water around the island to grow the island. According to legend, sailors in the 1400s built this island for a church by throwing rocks and broken up ships into the water. In Venezuela, Nicolas Maduro was chosen as the country’s next president. The last president, Hugo Chavez, died in March because of health reasons. He had been the president since 1999. Maduro was the vice-president of the country. Maduro was born in Caracas, the capital of Venezuela. After his schooling, he worked as a bus driver for many years and went on to become a union leader. 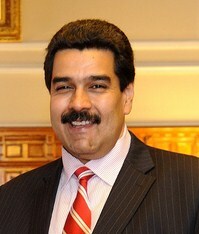 He got into politics in the 1990s, and became the vice-president of Venezuela last year. The national dance of Venezuela is the joropo. It is a couple’s waltz-like dance with fancy footwork on rhythmic music. Harp is one of the instruments used for the music. You can watch a video here.